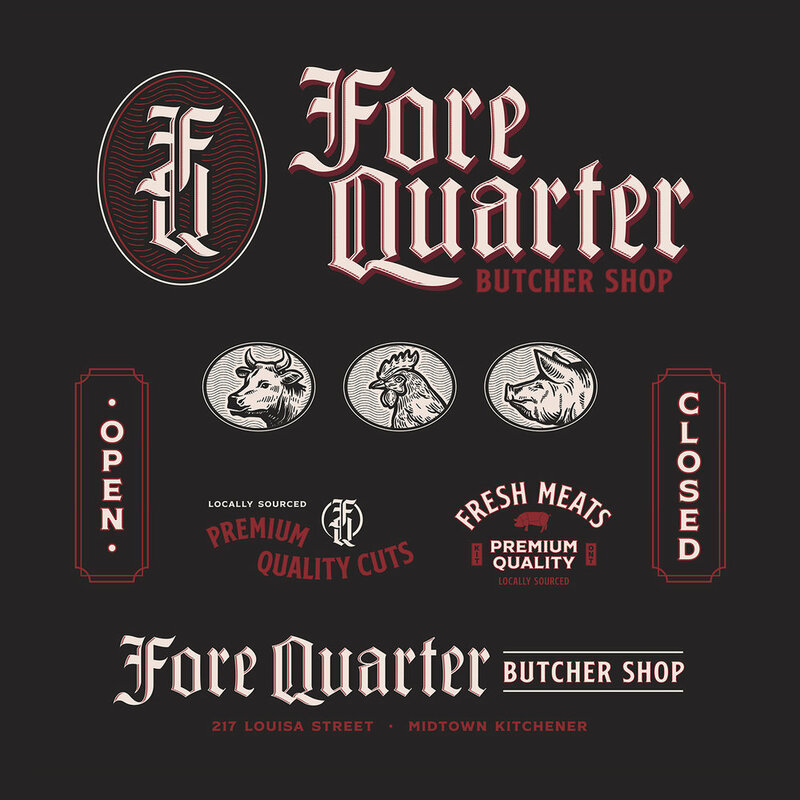 Located in Midtown Kitchener, Fore Quarter Butcher Shop is the KW Region’s newest provider of top quality, Ontario-sourced meats. Founder and head butcher Colby LeMoine set out to build a company that would not only supply its customers with the highest grade of local meat products, but also strive to nurture a culture centred in community integration and support. Representing a noticeable shift into a highly localized economy, Fore Quarter Butcher Shop is one of many businesses in Waterloo Region who are creating a diverse landscape of independent retailers. 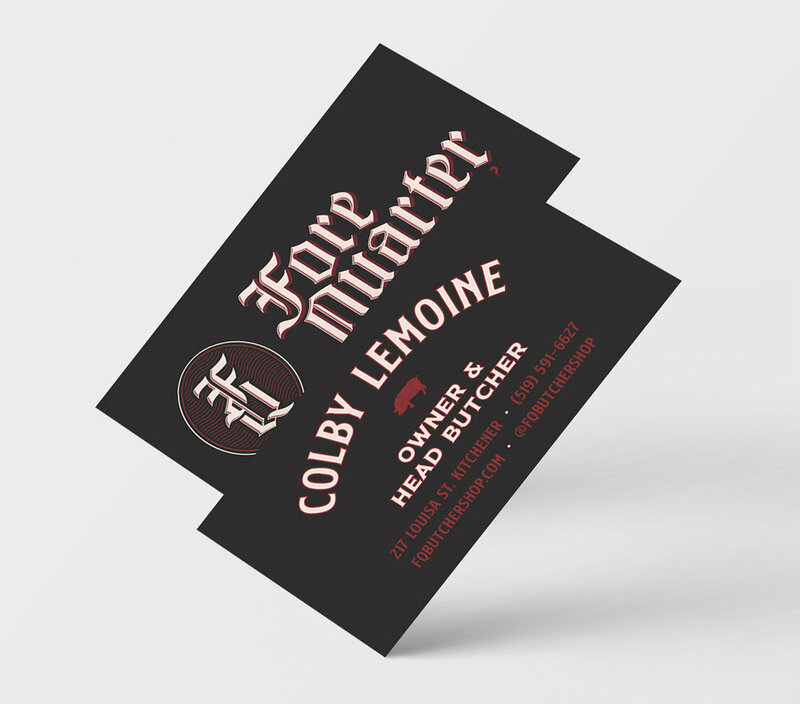 My goal in working with Colby on the branding for his new shop was to give his vision the creative execution it needed to communicate effectively with its customers. The result is a multifaceted graphic system that is able to adapt to its surroundings and remain cohesive regardless of application. 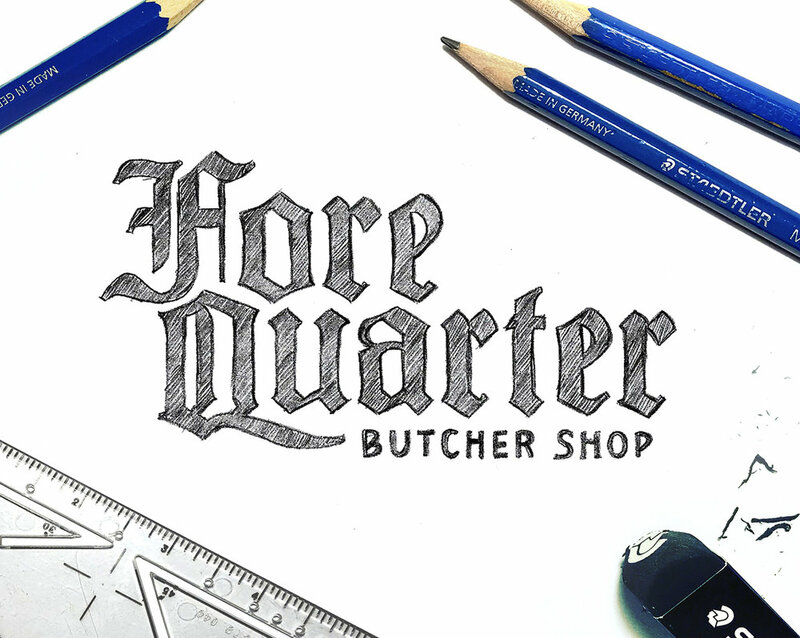 The shop’s identity employs Gothic letterforms for the primary logotype, which are referenced from a 19th century German type specimen to emphasize the butcher’s authenticity. Paired with the graphic language of mid-century mom & pop shops, the brand communicates the objectives of a local, independently owned butcher specializing in European meats. 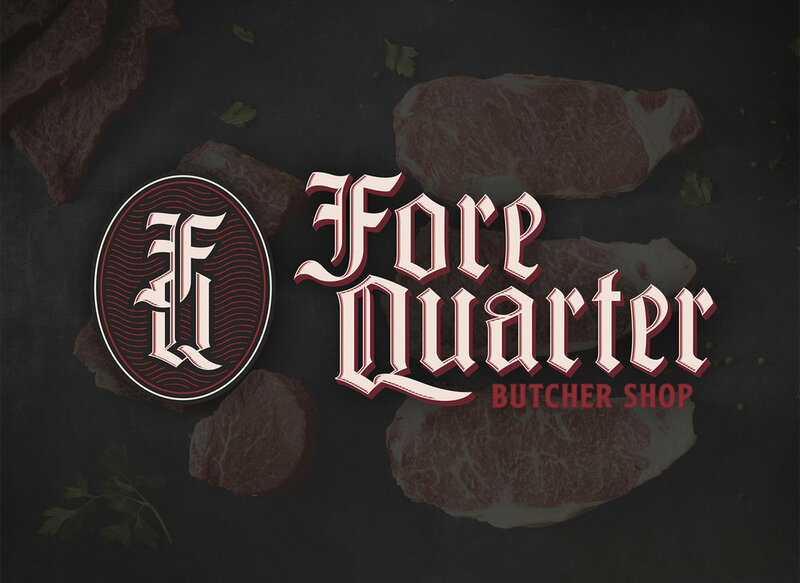 The Fore Quarter Butcher Shop brand identity is reinforced through the shop’s storefront, window signage and interior display graphics, as well as stationery, product menus and packaging labels. Creating an immersive graphic system from the outset allowed the brand to attain the versatility it needed to remain consistent across numerous applications.